The result is an enjoyable Building Process bringing your Dream Home to Life. Contracting us to build your home gives you immediate access to our Design, Budget + 3-D Model Services. We all love surprises, but no one likes cost over run surprises. Planing is Key! We have honest discussions about your dream + the cost. Do you already have a Blue Print? If so, Step One will seem quick + easy. Once a floor plan is determined we begin Showroom Visits + Product Selection to unveil a more refined picture of your new home. These steps are made easy with assistance from Kevin + Kimberlee. Ask us anything, we are here to help. Taking time in Step Two ensures that we enter the Construction portion of Building knowing all the Details + Prices. We help you be prepared by refining as many details as possible up front. This phase is so important to budget allocation. We review the good, better + best choices for products + design, creating the Intelligent Home Design for you. Completing Step Three brings full circle all of the planning + design to create a Project Cost Number. This will not increase unless you have not finalized a selection or make a change to a listed specification. Price Assurance is peace of mind. Yes, We Are Ready to Dig! The pre-planning pays off here with less stress + fewer disruptions to your work schedule, making the construction of your dream home a thing of joy + beauty. No Surprises. Your home is complete. Now it's time to fill it with family, love + memories. This is the end of a journey + the beginning of a new adventure. We may be done constructing, but we are only a phone call away for any questions you may have. Thank you for letting us share in your home building experience! 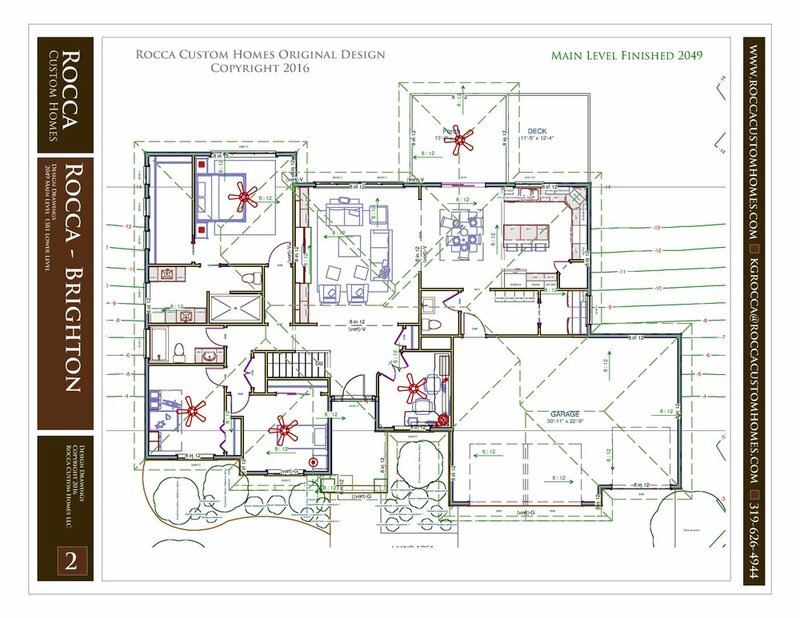 When a Rocca Custom Home is constructed careful attention is paid to every detail at each phase of construction. We work diligently to provide you with a home of quality craftsmanship and structural integrity. To insure the performance of your new home we extend our building relationship into your first year of home ownership.We believe in building unique homes that are tailored to your lifestyle. With Kevin + Kimberlee you can draw on a wealth of knowledge to walk you through the Design + Plan Process before breaking ground ensuring informed decisoins producing a lifetime of joy.